Welcome to the Cobblestone Hotel & Suites in McCook, Nebraska. 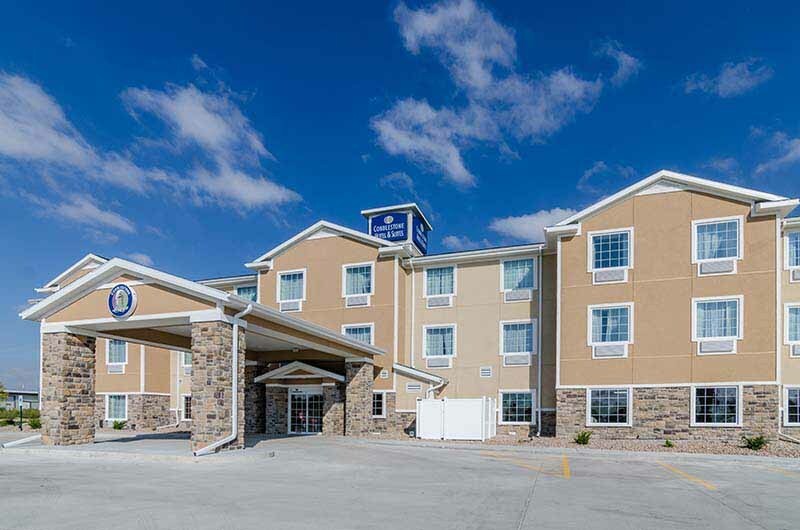 Our beautiful hotel is conveniently located near everything that McCook, Nebraska has to offer including McCook Amtrak, Community Hospital, McCook Ben Nelson Regional Airport, McCook Community College, and more. Our hotel provides easy access for traveling to and from U.S. Highways 34 and 83. Located between Interstates 70 and 80, our hotel is within 260 miles of Denver, Colorado. In town for business? The Cobblestone Hotel & Suites in McCook, Nebraska offers easy access to BNSF Railway, Kugler Company, Valmont Irrigation, Valmont Industries, Parker Industrial Hose Division, Van Diest Supply Co, CPS, Plains Equipment Group, Sunrise Oilfield Supply, and much more! In town for some fun? Check out Heritage Hills Golf Course, Loop Brewing Company, Jaycees Complex, Coppermill Steakhouse, and more.